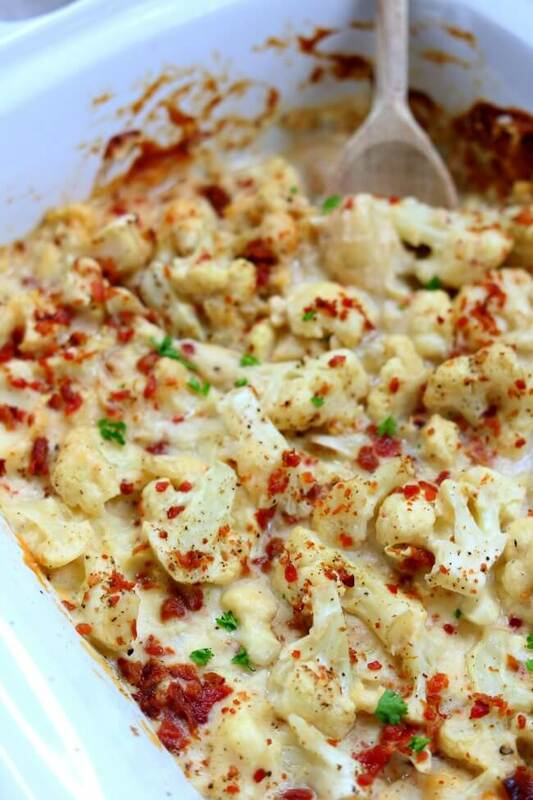 Slow Cooker Cheesy Bacon Cauliflower–a slow cooker cauliflower side dish that is enveloped in a velvety mozzarella cheese sauce and topped with crispy, crumbled bacon. Lately I’ve seen so many cauliflower recipes floating about. People seem to love the idea of cauliflower substituted for a higher calorie, carb-loaded side dish like rice. (In fact here is a great article about the 28 Science Backed Health Benefits of Cauliflower). 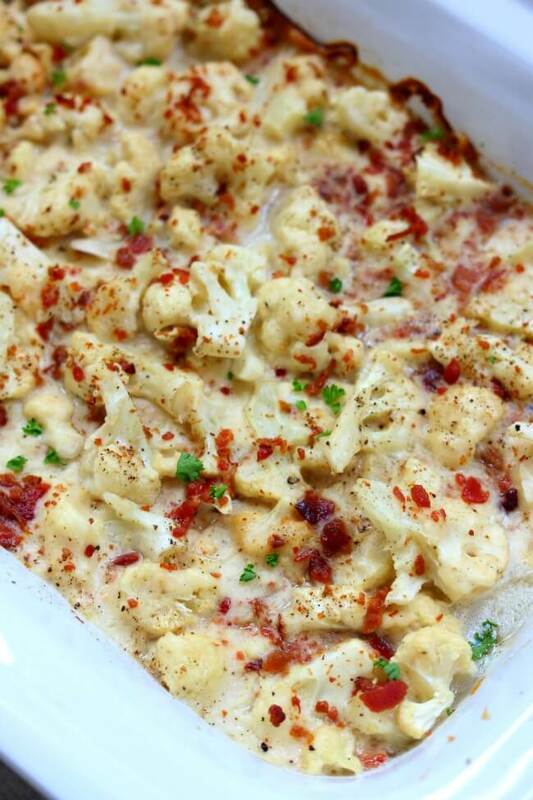 For this Slow Cooker Cheesy Bacon Cauliflower recipe I’m keeping the cauliflower as cauliflower but I’m adding a delicious cheese sauce and bacon. I used a bag of cauliflower florets from Costco so that kept prep time down and then I whipped up a cheese sauce on the stove top. I prefer to make my own cheese sauce as opposed to using a can of cream of cheddar soup, or something similar. It just takes a few ingredients that I usually have on hand and only a couple of minutes. I also just used a package of real crumbled bacon instead of frying it up at home. 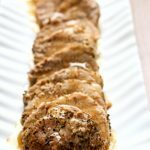 This is an easy side dish and my whole family loved it. What kind of slow cooker did you use? 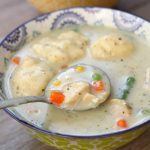 For this recipe, I used my 3 quart Casserole Crock. I love the casserole crock because it’s the size of a 9×13 pan but in the form of a slow cooker. The insert is oven safe which means you can easily finish off a slow cooker recipe in the oven. This comes in handy for a peach cobbler (to brown the topping) or to melt cheese on a casserole. It can also be handy to cook something in the oven and then keep it warm in the slow cooker. 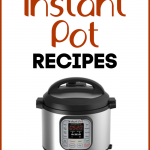 Send Me Free Slow Cooker Recipes! Thanks for stopping by! 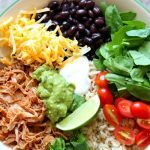 Do you love crockpot recipes? Wish you had more good ones that your family would actually eat? Get all my new recipes delivered to your email inbox by signing up here. I usually send out 1-2 new recipes per week. And you can unsubscribe at any time. This is a free service! Try it out. You’ll eat better and be more inspired to make family dinner happen at your house. 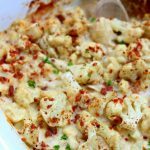 A slow cooker cauliflower side dish that is enveloped in a velvety mozzarella cheese sauce and topped with crispy, crumbled bacon. 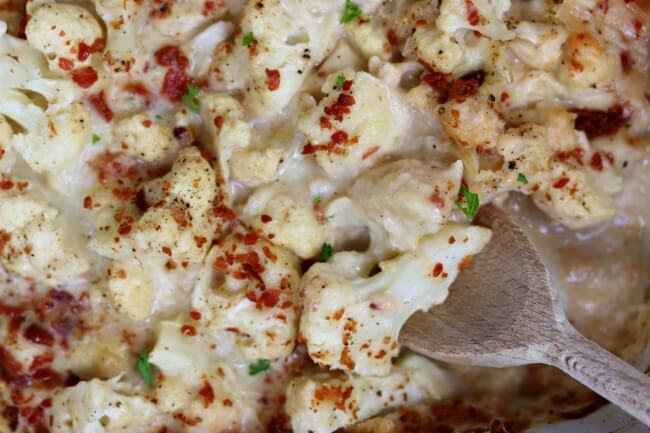 Place cauliflower florets in the bottom of your slow cooker. Melt the butter in a saucepan over medium heat. Stir in the flour, salt and pepper. Add the milk all at once and cook, stirring constantly, until the mixture thickens and bubbles. Remove the pan from the heat and add 1 1/2 cups of cheese. Whisk until smooth. Pour the mixture over the cauliflower and stir. Cover and cook on low for about 3-4 hours. Stir in the bacon. Salt and pepper to taste. Serve and enjoy! In this week’s episode of The 365 Days Podcast, Heidi and I review all the past challenges that we have taken on over the past 20 weeks. Some we are awesome at and others not so much. Listen to this week’s podcast now and let us know which challenge you’re going to try. Just text us or leave a voicemail at 858-365-3297. You can subscribe to our podcast in iTunes or through other podcast apps. Just search for The 365 Days Podcast! Each Monday I send out an email with all the helpful show notes and links. 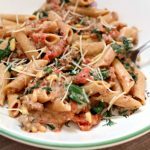 I also include recipes from time to time and discount codes for the products we discuss. We don’t eat pork. Is there a good substitute for that? Is there such a thing as chicken bacon lol! We made this last night for a BBQ. It was a mess, with a huge preponderance of liquid. The cauliflower was swimming in it. I just made this recipe and it’s delicious. 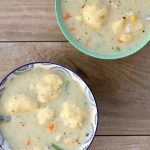 I love cauliflower but haven’t fixed it in forever, so it was lovely to have in such an easy to prepare way. So glad you liked it Steven! Thank you. Did you mean to say sharp Mozzarella; I’ve never heard of that? no I didn’t mean to say that ! haha. Thanks for catching that. I just changed it.